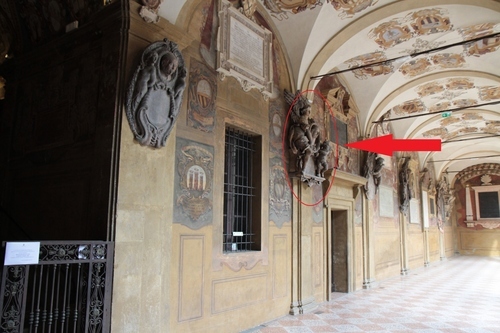 This rich monument in honour of Alessandro Guicciardini can be seen in the northern side of the lower loggia of the Archiginnasio Palace in Bologna (Piazza Galvani, 1). 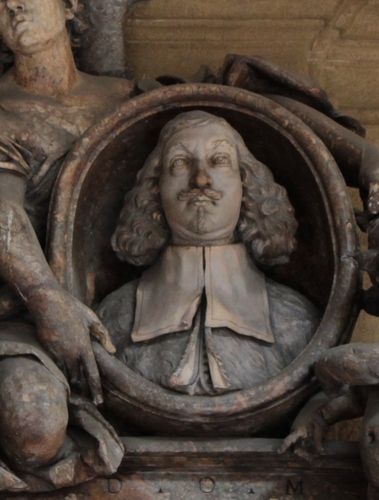 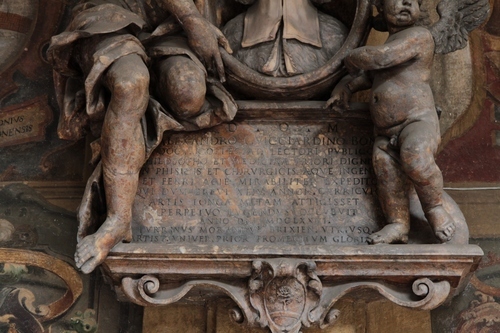 It dates back to 1676, year of the physician's death. 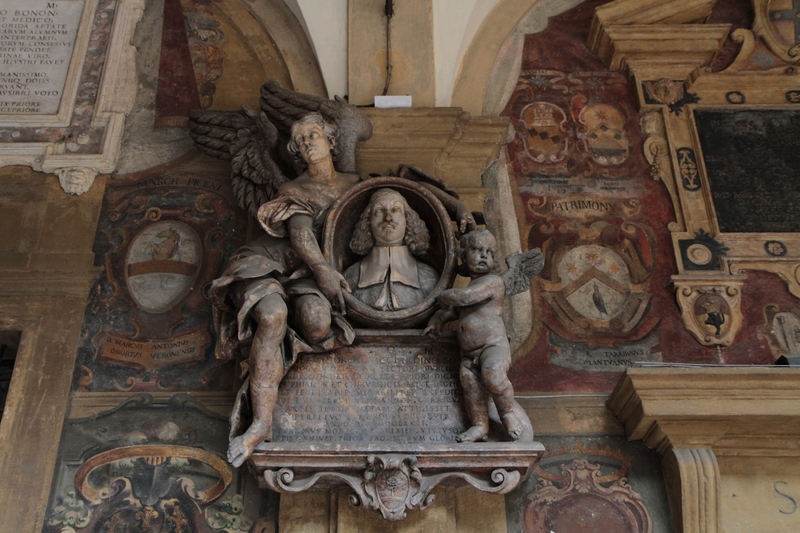 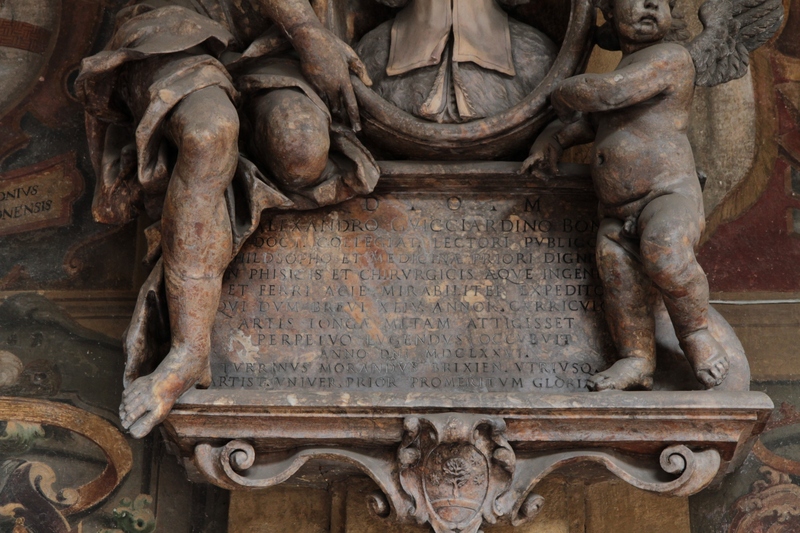 An angel and a putto hold the medallion with the bust of Guicciardini, while a memorial tablet states his main achievements.